A delightful mix of stunning landscapes, 17th century monasteries, tea gardens and magnificent views of the Himalayas, this leisurely 13 day tour gives you a glimpse into the life of the remotest parts of the country. 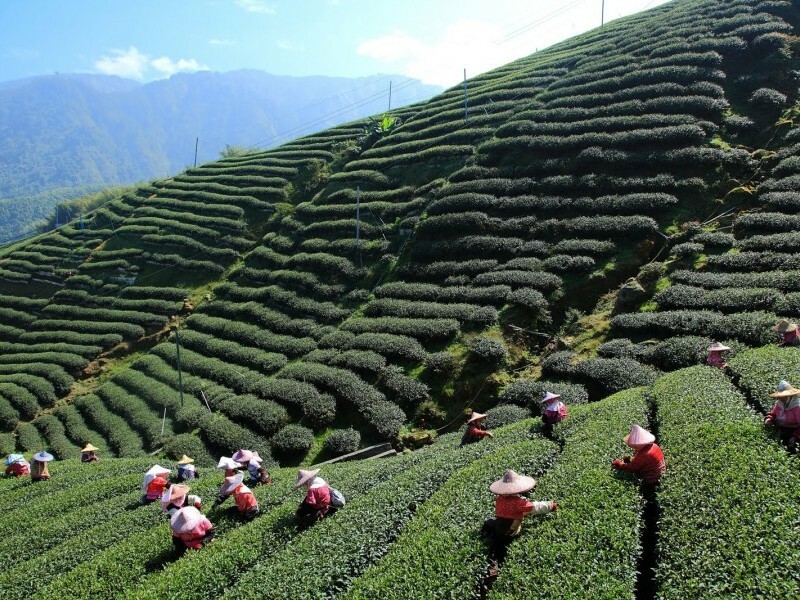 Darjeeling, a beautiful hill station famous for its tea plantations. 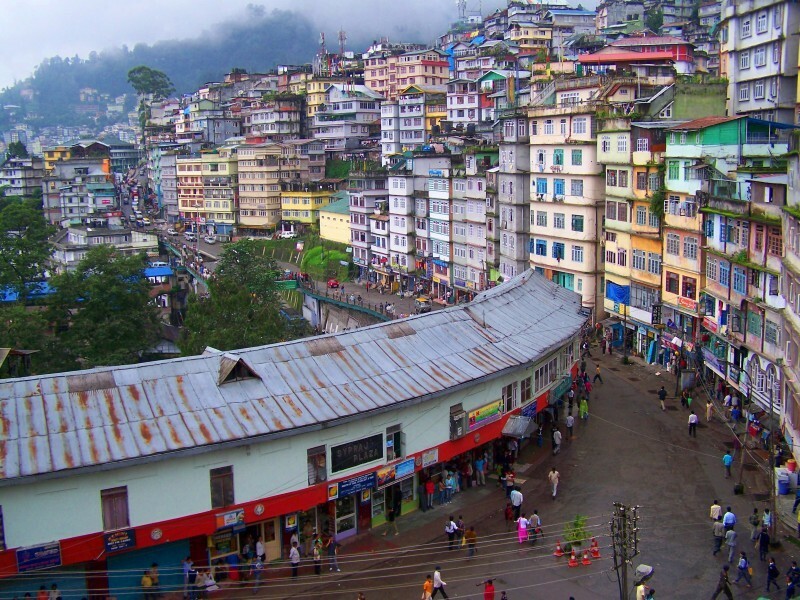 Gangtok, the capital of Sikkim nestled within the high peaks of the eastern Himalayas. 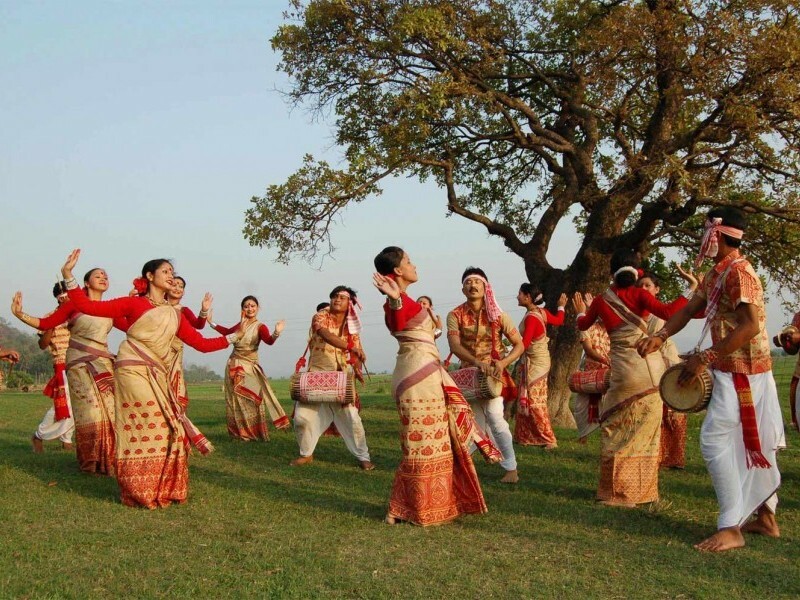 ​This tour provides a great introduction to India’s North-Eastern, one of its most remote regions and seldom visited. That’s not to say there isn’t a great deal worth seeing and experiencing here. We start our tour from Kolkata, one of India’s bustling metropolitan cities and erstwhile capital of the British Raj. Here we will visit the famous Victoria memorial and Kali temple among other local attractions. Often referred to as city of joy, Kolkata is famous for its bustle, architectural reminiscence of the old Britannia and yellow taxis. This city is quite different from Delhi or Mumbai and its culture reflects the distinct Bengali character in exquisite forms. Kolkata also serves as the gateway to India’s seven sister states that form the North-East region of the country. 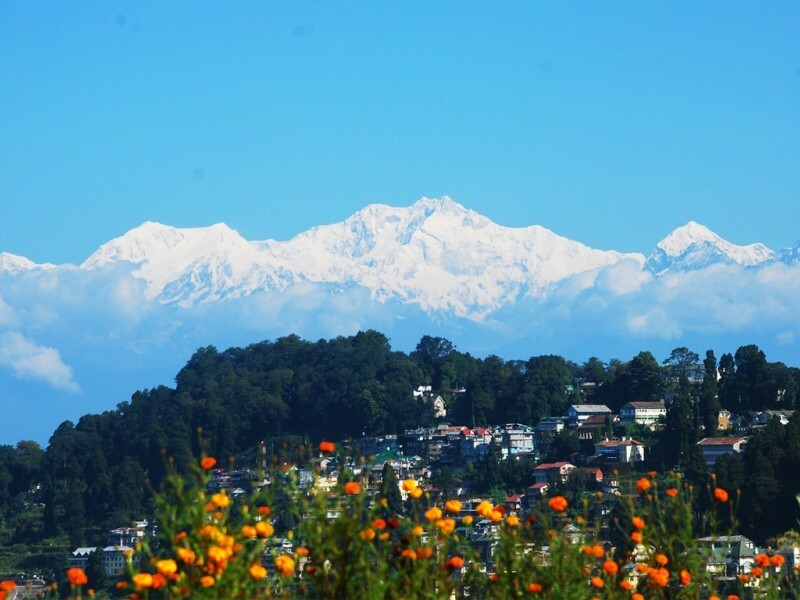 From Kolkata, we will take a flight to Bagdogra followed a scenic drive to Darjeeling. Synonymous with a rich blend of tea, this is a picturesque hill-station famous for its tea plantations, toy train, zoo and the Himalayan mountaineering institute. All of which we will visit and experience on our day of exploration. From Darjeeling we will transfer to Kalimpong in Sikkim on day 4 visiting the famous Durpin monastery and other local attractions. Sikkim monasteries are exquisite in their art and form showcasing the local Buddhist culture, sculpture, art and craft. We will experience this in the following days visiting Yuksom, Tashding, Pelling and Gangtok, the capital city. Finishing our tour in Gangtok we will return to Kolkata via Bagdogra to catch our international flight back home. Arrive Kolkata, our KVT’s representative will welcome you at the airport & will transfer you to the hotel for check-in. During afternoon we visit Victoria Memorial Hall. It is one of the most fascinating landmarks of Kolkata. Built entirely of white marble, Victoria Memorial, one of India's most beautiful monuments, represents a unique combination of classical European architecture and Mughal motifs. The Victoria Memorial blends the best of the British and Mughal architecture. In the evening we visit Kali Temple, It is located on the banks of the river Hooghly (Bhagirathi). The temple is on the banks of a small canal called Adi Ganga which connects to the Hooghly. Morning fly to Bagdogra; drive to Darjeeling. Morning after breakfast you will be transferred to airport to catch the flight from Kolkata to Bagdogra; arrive at Bagdogra airport and from there drive towards Darjeeling (Distance: 94km appx). Late afternoon reach Darjeeling and transfer to hotel for check-in; rest of the day is free to relax. 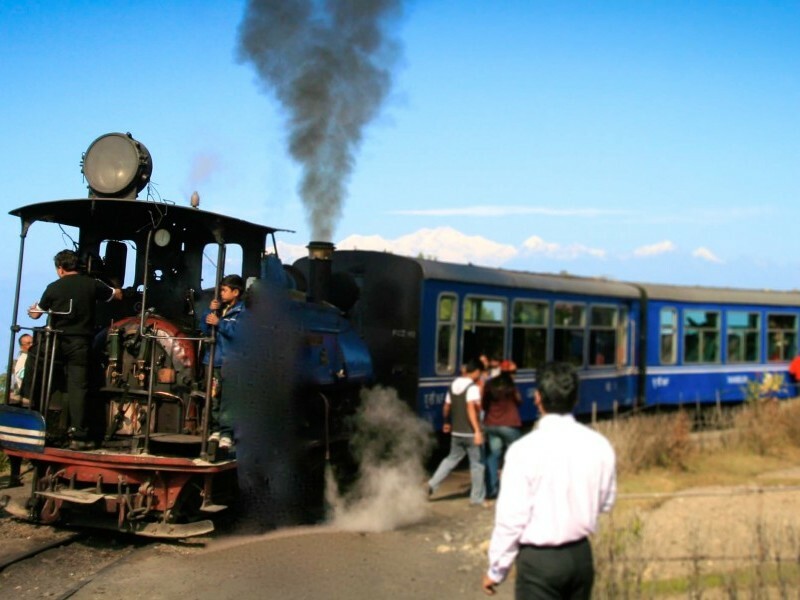 Today we proceed for the sightseeing tour of Darjeeling; it is a town of Indian state West Bengal, Darjeeling is noted for its tea plantation and the famous Darjeeling Himalayan Railway (Toy train) a UNESCO World Heritage Site, it is a “Queen of Hill stations”. We start our sightseeing tour by visiting Ghoom / Ghum monastery also known as Sakya Monastery and located 8 km away from Darjeeling, it was built in 1875 by Lama Sherab Gyatso and the largest monastery amongst the other monasteries in Ghum. Then we visit Himalayan Mountaineering Institute, which was set up to encourage mountaineering and carries out various mountaineering courses every year and then we visit Himalayan Zoological Park which was opened in 1958. 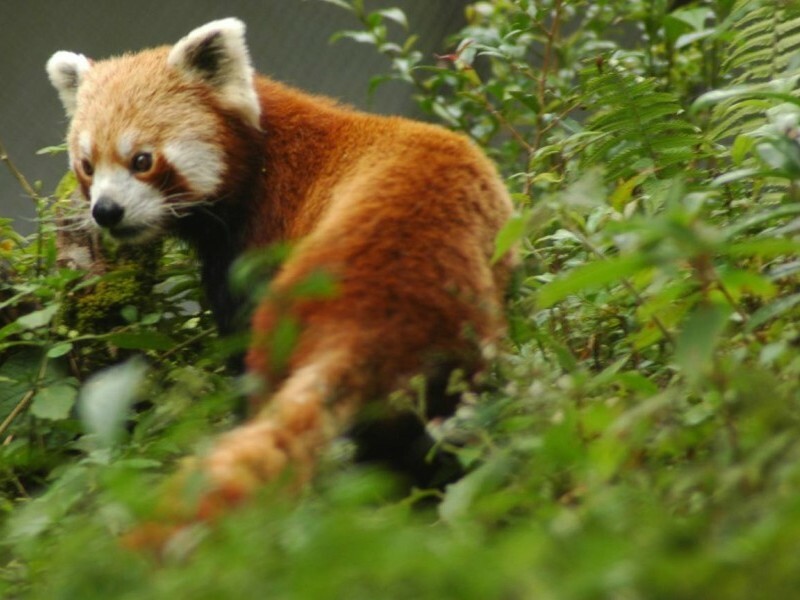 It is the largest high altitude zoo in India. Today we drive to Kalimpong (Distance: 55km appx), The journey from, Darjeeling to Kalimpong takes you through rich forests and rolling tea gardens. It affords some of the finest views of the valley, which is the confluence of the Rangeet & Teesta rivers and the mighty Himalayan range. 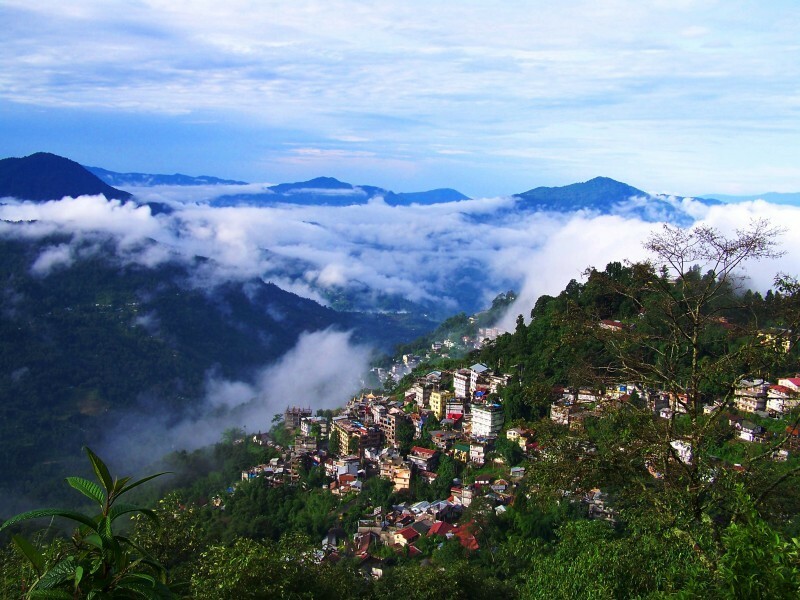 Straddling a ridge between the Deolo and Durpin hills, Kalimpong is a quiet and peaceful town nestled at a comfortable elevation of 1,200 meters, which ensures a pleasant climate round the year. Afternoon and evening is free for you to explore by your own. Today after breakfast we proceed for the sightseeing tour of Kalimpong, we start with a visit to Durpin Monastery. This monastery is situated on the Durpin Dara Hill, which offers a breathtaking view of the plains below. Some of the places that can be viewed from here include the Teesta and Rangeet rivers, western Sikkim, the Kanchenjunga peak, Peshoke and Lopchu tea estates, Nathu-la pass and the towns of Siliguri and Kurseong. We also visit the paper factory, flower and cactus nurseries. Last we visit the fascinating Catholic Church which is located within woods with greenery all around. Afternoon and evening is free for you to explore by your own. Drive to Pelling, visit Pemayangtse monastery. Today morning after finishing breakfast we drive to Pelling (Distance: 95 km appx). We reach early afternoon and check-in to the hotel. Later we visit Pemayangtse monastery located on a hilltop and was built in 17th century. It is one of the oldest and premier monasteries of Sikkim. Evening is free for you to explore the surrounding area on your own. Today we drive from Pelling to Yuksom en-route visit Khechophalri Lake (Distance: 60 kms appx). It is highly revered by both Sikkimese Buddhists and Lepcha animists who believe its shape to be akin to the footprint of the goddess Tara. Legend also has it that birds assiduously remove any leaves from its surface, keeping it clean through the year. We reach Yuksom in afternoon, check into hotel and relax. Later we visit Dubdi monastery; Dubdi means 'the retreat' and this monastery was built in 1700 AD. It is located near Yuksum on a hill top and one has to travel by foot to reach it. Drive to Tashiding, visit Tashiding monastery. Today we drive from Yuksom to Tashiding (Distance: 25Km appx), Tashiding is a small village on a hilltop. 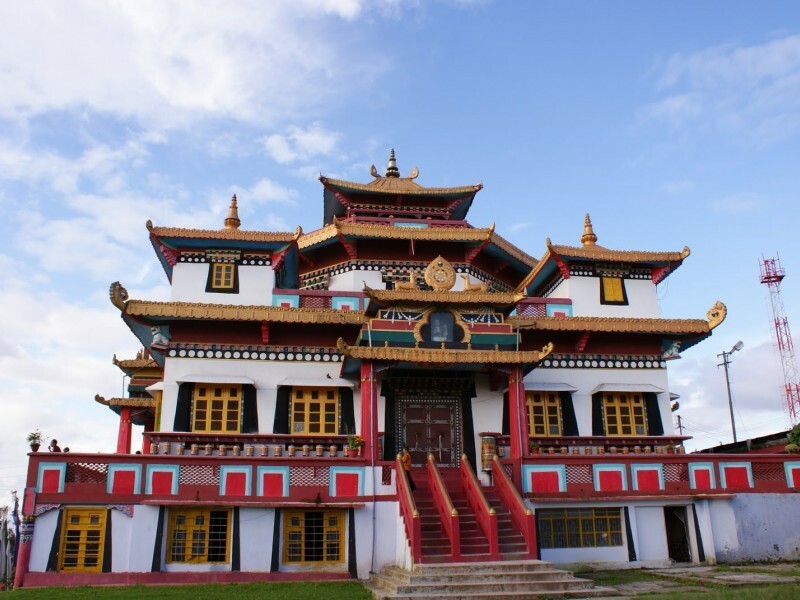 The Tashiding monastery belongs to the Nyingmapa order and is highly revered among the people of Sikkim. Build on the top of the hill and looming over the Rathong and Rangit River, the monastery can be seen from far and wide. It is believed that even a slight glimpse of the monastery can cleanse mortals of all sins. Drive to Gangtok en-route visit Ralang monastery. Today we drive from Tashiding to Gangtok, the capital of Sikkim (Distance: 100Kms appx), en-route visit Ralang monastery at Ravangla. 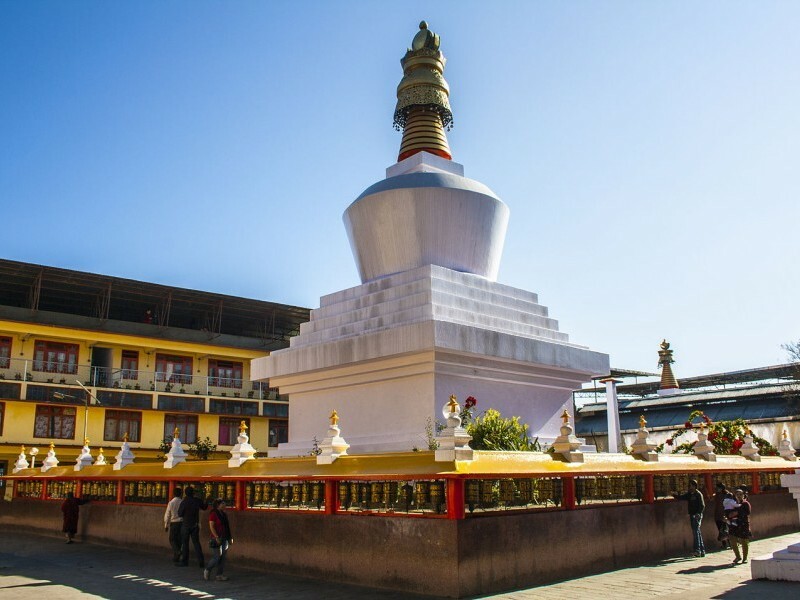 Ralang Monastery portrays the true spiritual side of Sikkimese people. 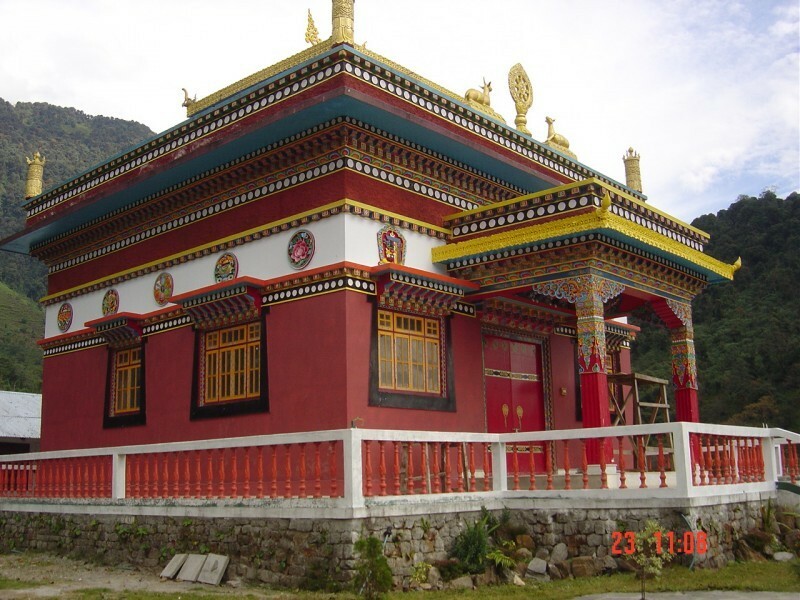 Ralong Monastery is regarded as the one amongst the most significant and most consecrated monasteries of Sikkim. The Monastery was built to commemorate the successful pilgrimage of the fourth Chogyal to Tibet. Late afternoon we reach Gangtok and transfer to the hotel for check-in and relax. In morning we visit Phodang monastery, counted amongst the six most important monasteries of Sikkim. The history of the monastery states that it was first constructed by Chogyal Gyurmed Namgyal in the first half of the eighteenth century. Located just 2Km away from Phodang monastery, we visit Labrang monastery; it is undoubtedly one of the leading monasteries of Sikkim. In afternoon we visit institute of Tibet ology and Tibetan handicraft centre. Today you have a day free to explore the beauty of city by your own. Drive to Bagdogra airport, fly to Kolkata. Today early morning after breakfast we drive towards Bagdogra (Distance: 125Kms appx) to catch flight to Kolkata, upon arrival at Kolkata, check into Hotel and relax. During evening you can do some last minute shopping.